Many of the discussions around technology and healthcare have, in broad terms, focused on the internet of things, telemedicine, personalized medicine, and robotics. 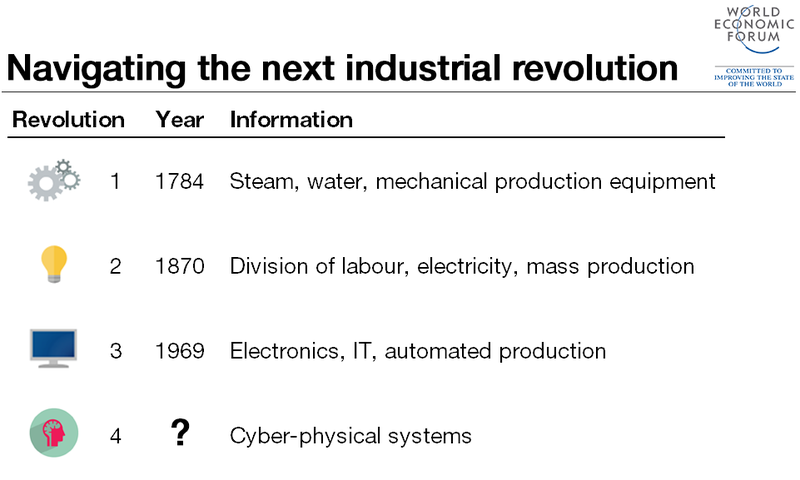 But how exactly are these technologies going to be transformative? As the Chair of the Global Agenda Council on Artificial Intelligence and Robotics , I’ve been part of many discussions on the impacts of these technologies, both good and bad. Three trends in particular strike me as having a revolutionary impact on how we see ourselves and others: human augmentation, social robots, and the open AI ecosystem. We sense information, we process it, and we act on it. Technology can be used to augment this information processing loop at any of those points. On the sensing side, we are moving toward not just replacing lost vision or hearing, but enhancing it. For example, Doppler Labs has created earplugs that can filter out sounds that we don’t want and enhance the sounds we want to hear. On the action side, prosthetics keep getting more and more robotic with the OttoBock actuated and dynamically adapting lower limb prosthetics leading the way. And finally, on the processing side, we have up and coming technology – Google is developing a contact lens that will sense your body temperature and glucose levels to help you manage your diabetes. Longer term, there are efforts underway to improve our ability to process and remember information – The Defense Advanced Research Project Agency ( DARPA ) has a research program to develop implantable devices to help restore memory. So with access to bionic hearing, knees, and neural memory chips imminent, I fully expect to retire with better function than I have now! The next technology trend is social or companion robotics. Social robots use artificial intelligence to understand people and respond appropriately. Simple “robots” like Paro , the therapeutic seal, have been around for many years and respond when petted or spoken to and have been used to reduce stress in elderly patients. Advances in natural language processing and social awareness algorithms have already begun to make social robots dramatically more useful to consumers as companions or personal assistants. The Amazon Echo digital assistant, Alexa , is a popular product that I would argue is one of the first social robots for consumers. Jibo , which is supposed to hit the market this year, is a connected robotic personal assistant, kind of like a cross between the echo, a robotic toy, and your computer. The World Economic Forum named the open AI ecosystem as one of the Top 10 Emerging Technologies of 2016 . So what is it? We’ve all heard about the internet of things – we tend to think of machines and devices connecting to each other. But we really have an internet of things and people - all generating lots of data through active interactions and passive monitoring. An open AI ecosystem refers to the idea that with an unprecedented amount of data available, combined with advances in natural language processing and social awareness algorithms, applications of AI will become increasingly more useful to consumers. Smart personal digital assistants, such as Alexa or Jibo, will be examples of this. But the impact on healthcare will also be dramatic. We’ve heard a lot about connected medical devices that are creating a digital health revolution and putting medical care in the hands of consumers. Two examples are Cellscope’s digital otoscope and the AliveCor Kardia, both consumer-friendly products that add sensors to a smartphone so consumers can monitor ear infections or atrial fibrillation respectively. And for you Star Trek fans, the Qualcomm Tricorder xPrize , a global $10 million prize, when completed, will give consumers important diagnostic information on 15 or so conditions from strep throat to diabetes. But the real impact of the Open AI Ecosystem will help keep people healthy and “whealthy.” The Global Agenda Council on Aging recently held a workshop on Cognition, Aging, and the Financial System. The premise was that as our wealth increases, our health and more specifically our cognitive health decreases. A smart curation of the data made available through the Open AI Ecosystem could not only prevent costly mistakes in financial management but also alert clinicians or loved ones to at-risk changes in behavior. In other words, the current state of the art technology can tell us that we are sick, but the future will bring us the ability to prevent illness. These three technology trends can help with the shift from diagnosis and treatment, or healthcare, to wellness and prevention, or 'whealth'.